Why the best real estate agent may be the one you’ve never heard of. Let’s face it, most real estate agents approach real estate as a transactional business. They work to close the sale and get the commission and then on to the next deal. They spend their money on advertising and making a name for themselves. You’re likely to see them on bill boards, in Facebook ads, in the newspaper advertising and maybe even on grocery carts. Their focus is on getting more leads for more volume in transactions and more money in their bank account. You’ll see their picture all over the internet - on Zillow, Trulia and other real estate sites. They’re busy buying leads, closing those leads and building their business sales volume. These are the agents that most brokerages want to hire. But, are they the best agents? Is their focus on closing transactions or helping their clients by providing them with valuable counseling and consultation? Are they thinking more about the next transaction or helping their client in the transaction that they are in? Do they spend their time and money on advertising and lead generation or on education about how to do a better job of helping their clients? I can tell you as a real estate insider, that not all well known agents are good agents. In fact, some of the most contentious and difficult transactions I’ve been involved with have been with the so called “well known, high volume producers”. So what makes a good agent? A good agent is first and foremost a counselor for their client, with their best interest in mind. They are likely to be honest in pointing out flaws with a property and giving you the pros and cons of any given real estate situation. They rely on doing an excellent job for their clients and getting business through word of mouth and referrals. They are available when their clients need them, and are always ready to answer questions. They study the contract forms that they use and how to negotiate to aid their client. They look for the “win, win” in situations instead of trying to take advantage of the other buyer or seller. Even though it may not be verbalized as such, good agents live according to the Rotary 4-Way test: Of the things that they think, say and do they ask themselves - 1) Is it the truth?, 2) Is it fair to all concerned? 3) Will it build goodwill and better friendships?, 4) Will it be beneficial to all concerned? They are more concerned about the other parties in the transaction than their own personal gain. Good agents will help you think through things and make suggestions rather than trying to guide you to a decision that may not be the best for you. So, how do you find a good agent? You probably already know one. They may be a friend or acquaintance who gives this kind of service. You can find them by asking others about their real estate transactions. You probably won’t find them spending a lot of money on advertising. They will be more concerned about relationships rather than transactions and personal income. They will always be ready to answer your questions about real estate and not pushing to close the sale or listing. If you are a real estate agent, what is most important to you? Where do you spend your money? Building relationships or advertising and buying leads? Do you value the commission you will be earning above the best interests of your client? Do you study how to help your client have a better experience, or how to sell more real estate? 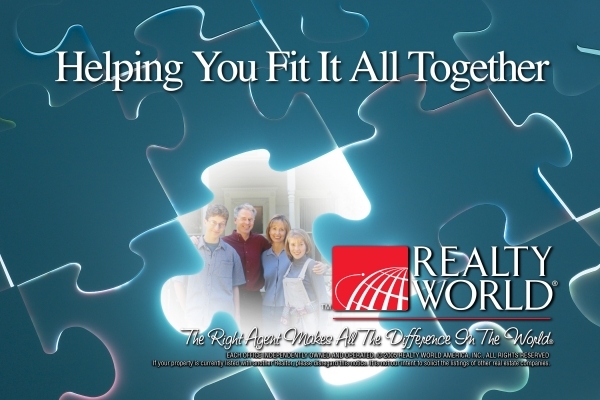 At Realty World Indy, we teach our team how to help their clients have a "World Class" real estate experience. Our agents build a referral based business based upon their satisfied clients.